Here at Open House, we spend our days seeking out luxurious properties, presenting you tours and grand images of beautifully staged multi-million-dollar homes. With the economic downturn, what we showcase is a far reach and unattainable dream for the majority of us Americans. The case is especially true in Detroit, Michigan, a city suffering from the decline of the once powerful automative industry. 100 Abandoned Houses, an ingeniously creative photography project, showcases homes not quite like the ones we feature. It's starkly different, but incredibly beautiful in its own right. Photographer Kevin Bauman has pursued what he calls his "obsession," capturing the natural beauty of abandoned homes in Detroit and shining light on a growing problem in the Motor City. The saying, "Beauty is in the eye of the beholder" has never been truer. We got a chance to to talk to Kevin and learn about his project. When and why did you start photographing abandoned houses? 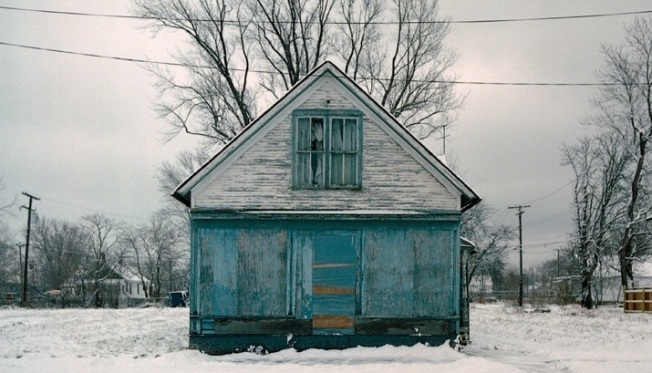 I started making photographs of Detroit sometime in the mid-nineties, and that included abandoned houses. I wondered how a city with so much affluence nearby could be in such bad shape. It was also the city my family grew up in, and around, and I was constantly told stories about the way the city used to be. I never got to experience that Detroit. The Detroit I knew was one in which most who grew up in it, didn't ever go back. The houses represent the exodus of people leaving the city, declining industry, and hard times and broken dreams of so many who lived, and in many cases, still live there. Once I began to focus on the houses, it became an obsession. Why do you think abandoned homes are such a huge problem in Detroit? Over the last fifty or sixty years Detroit has lost over half its population. And since Detroit has always been more a city of homes than high-rises, there are lots of empty houses. 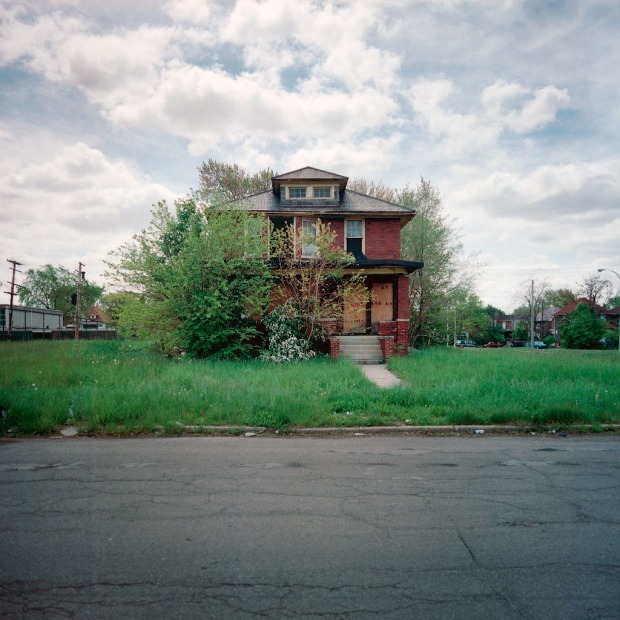 Between the last two censuses alone, Detroit has lost another 25% of its population. At one point, estimates of abandoned structures in the city were placed at 40,000. You photograph some pretty spectacular homes and architecture. How does this project compare? The abandoned houses project keeps me grounded. It's the reality so many in Detroit have to deal with every day. Photographing large, expensive, and impressive homes is really great, and I enjoy it, but I have to remember that is only reality for some of the population. Having both types of projects is a good balance. I can't just photograph abandonment, as it can get a bit depressing at times. Describe your own home and what you love about it. Currently, we live in a condo that we rent. We had just finished renovating our home just north of Detroit, when we had to move to find more and better paying work. The house was a mid-sixties ranch, and we gutted much of it, putting in exactly the finishes we wanted in the kitchen and bath. Our taste is very minimalist, so we had lots of white, with a Duravit sink, Stark tap, and sandstone counters. It was perfect, but we never got to fully live in it. Unfortunately, like so many others, we lost money on it. Fortunately, we found a couple with a young child that thought it was perfect, so we know it will be used and appreciated. Now, we are on the hunt for a new place where we can start the process over one more time. What is one of your favorite shots from the project? I think that number 86 on the site is one of my favorites [Pictured above]. I like the starkness of the surroundings and how well the house stands out. It's also a pretty humble little house. Nothing extraordinary about it. It's about as basic as a house can get. Click on the gallery above for more photos from 100 Abandoned Houses.